Matthew McConaughey was spotted wearing a Casio A159WGEA-5 on the film set in New York City. 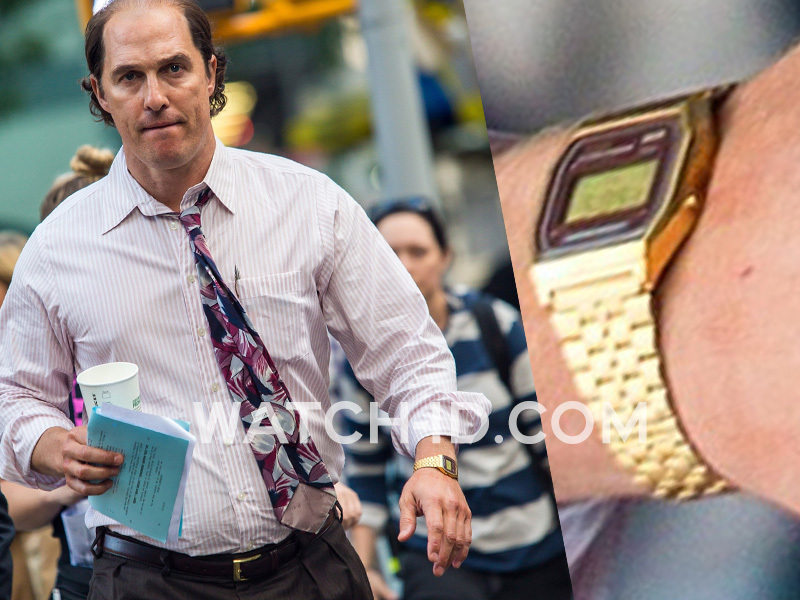 One of the watches that Matthew McConaughey wears in the movie Gold (2017) is a Casio A159WGEA-5. The watch can be spotted in a photo from the set in in New York City (see on the left) when McConnaughey has taken off his jacket. 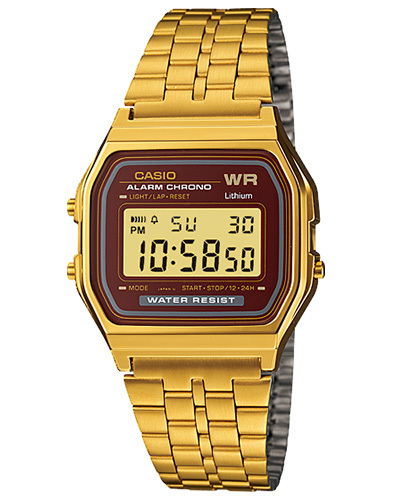 The Casio A159WGEA-5 is a variation on the classic digital Casio A159W (also seen in several films), but with a gold case and brown/red face. Available on Amazon for around $40.